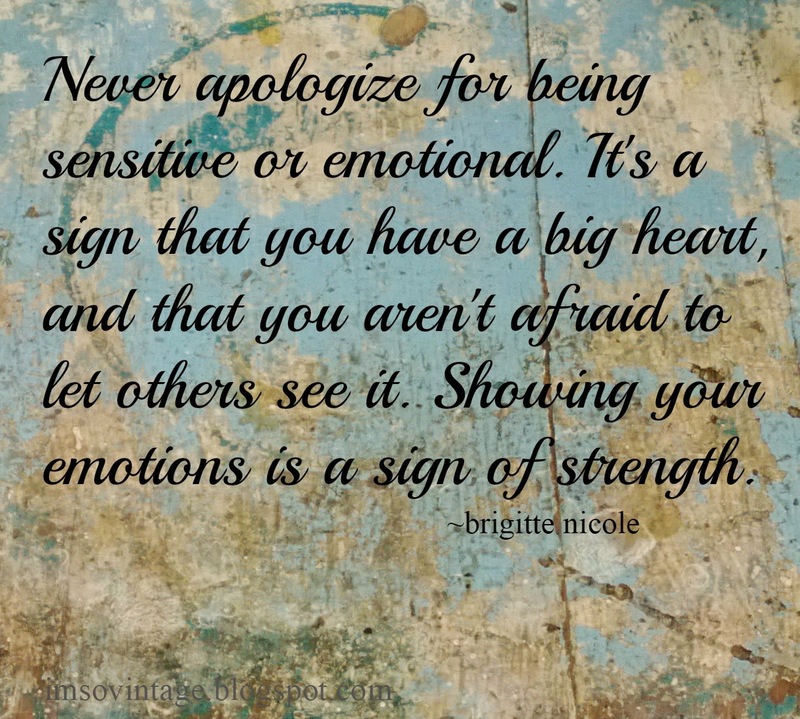 For many years I found myself apologizing when someone told me I was too sensitive, too emotional. Then I stopped. I knew that those parts of my personality were what helped me to be a better counselor. I knew that it would be easier to not show those feelings, but it would also be insincere. We are each one unique and we should never have to apologize for who we are. So let those feelings out. Show that you care. You may not only change your life, but quite possibly the life of someone else. People used to tell me "You think too much." Like thinking was a bad thing. :) Like you I realized it was one of my God-given attributes designed to help me walk in my purpose. Good post Laura. Have a good week. These are words I shall cling to. Because I always have found myself apologizing for who I am. And why? I don't know. I think much of it is the way we, as women, have been socialized. You are special, just as you are, my friend. Ah, why do we take so long to understand this? At least I have. Since retiring from pastoral ministry I have been able to embrace this. Down side is that I am now afraid to get involved in any ministry or group because I think I might slide back into old was of people pleasing and being the person they want me to be because I am afraid If I am myself I won't measure up. :( How sad. You are so right. I think it takes some time before people are really comfortable with who they truly are. That describes me well! I am very sensitive and show emotions easy. Sometimes I'm around people that aren't like that and it makes me feel like something is wrong with me. But, I've learned to accept that "they" are not the normal that I need to aspire to. This is just who I am and they are just who they are. I do think it makes you a better counselor for sure!